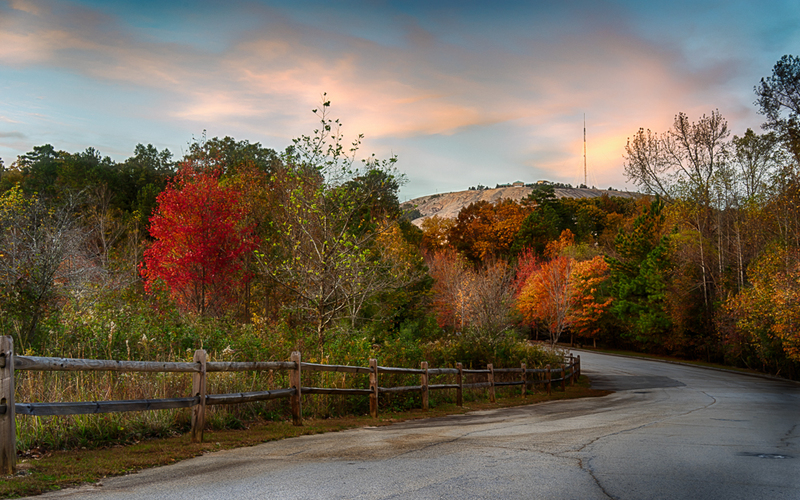 When I first moved to Atlanta, I spent a lot of time at Stone Mountain Park: walking the dog, hiking, biking. As the years went on, I lost interest in the location. In the past couple of months, though, Michelle and I have been visiting the park to practice our photography, and we have discovered it from some different perspectives. A Stone Mountain sunset on the west side from the road that leads up to the songbird habitat. 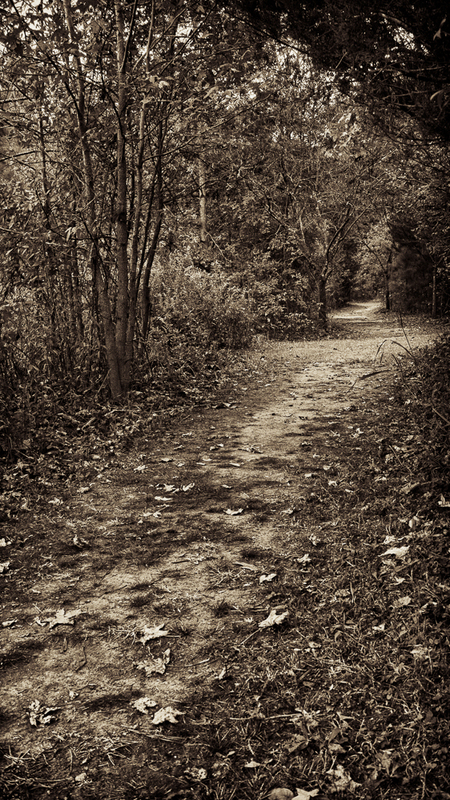 A fun trail through the wooded area of the songbird habitat. 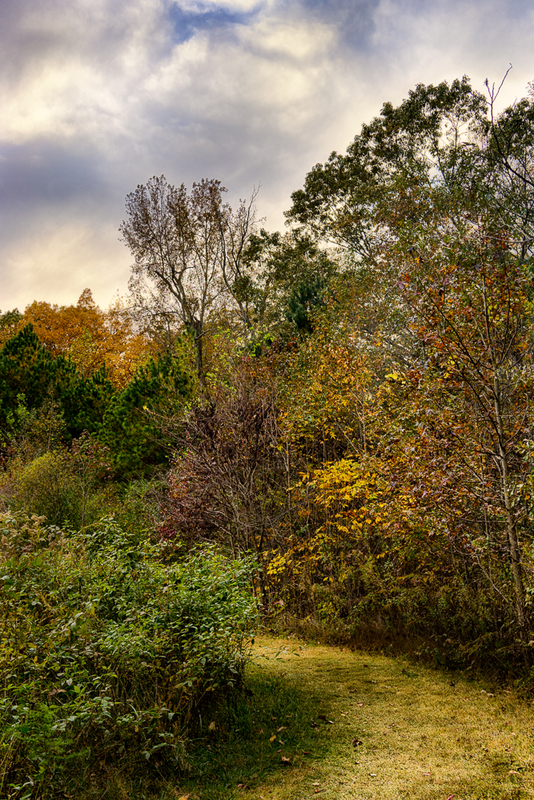 One of the new discoveries I made this past weekend was the Songbird Habitat Trail. It is on a less-traveled road in the park, which means there are fewer people, dogs, bikes, and cars. The sanctuary itself has some very nice trails through a meadow, and is quite peaceful and serene. I didn’t do any birding, but had a good time shooting some landscapes. Michelle explored the world in miniature with a macro lens that we rented. 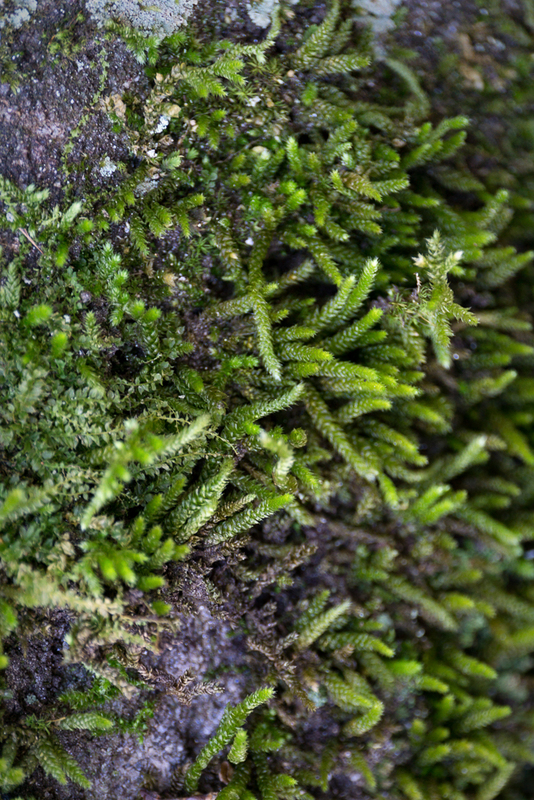 This was some moss on the granite by the waterline. The next morning, Michelle and I went to the Grist Mill. It is on the eastern side, so you need to be there in the morning to get the best light. Otherwise, the big hunk of granite known as Stone Mountain will cast a shadow over the whole area. Michelle had some fun playing with a macro lens we rented to test for an upcoming trip. She loves to go into a different universe and see things in unique ways. The songbird habitat is on the eastern side and is beautiful during the sunset golden hour. 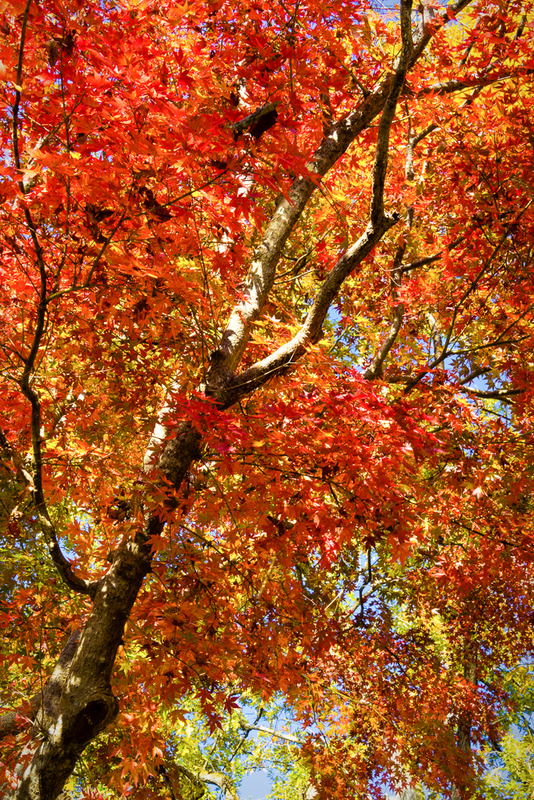 There were some colorful autumn trees around the mill. 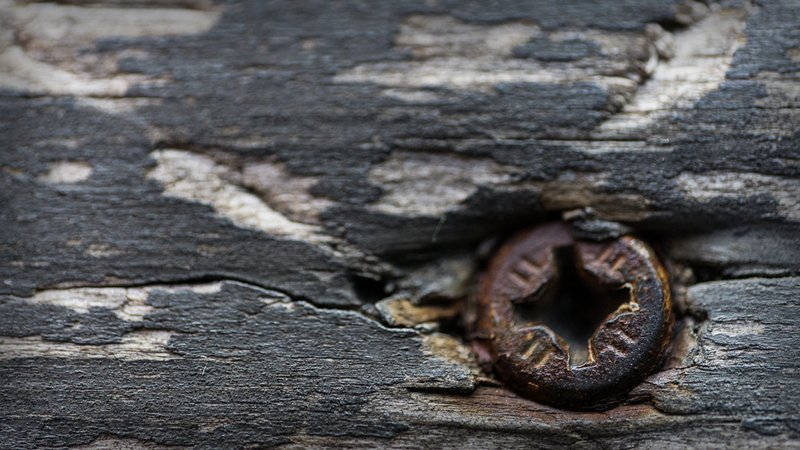 Michelle loves to play with texture, and this rusty screw in the wood filled the bill. 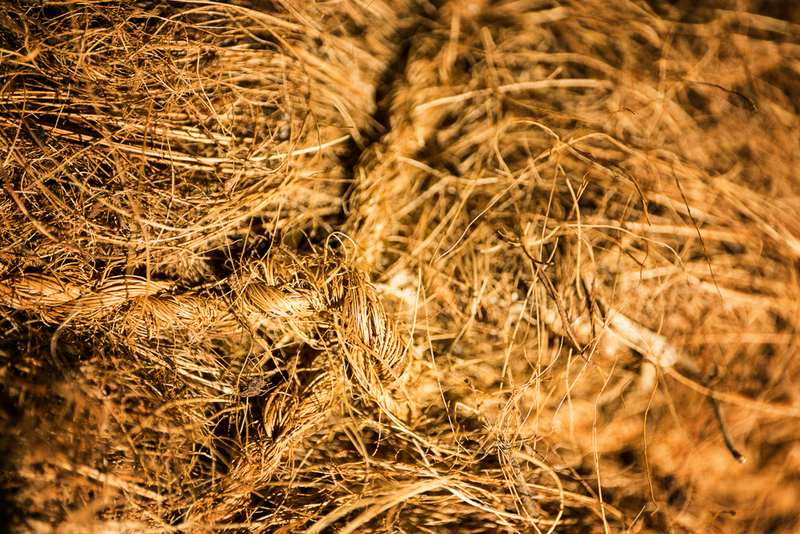 She also had fun exploring the fibrous universe of burlap that was lying around for a landscape project. 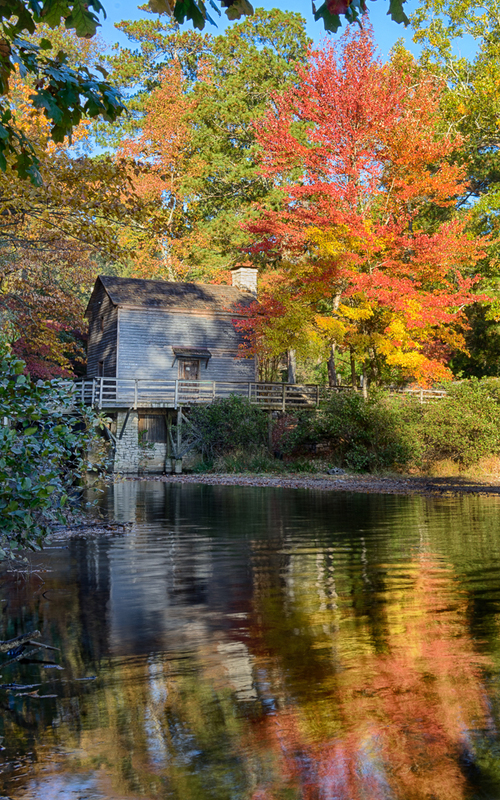 Some autumn colors framing the grist mill.